The European Central Bank has kept its main interest rates unchanged. The governing council is maintaining the rate on the main refinancing operations, the interest rates on the marginal lending facility, and the deposit facility at 0.00 percent, 0.25 percent and -0.40 percent respectively. The ECB says the governing council expects the key interest rates to remain at their present levels for an extended period of time. The net asset purchases continue to the current monthly pace of 60 billion euros and are intended to run until the end of December 2017. 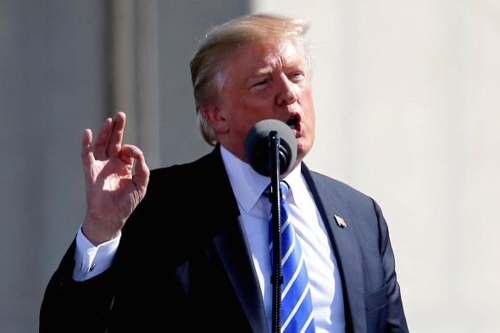 President Trump makes a surprise deal with Democrats to raise the debt ceiling, sparking a relief rally, as investors wait for tapering signals from the ECB later today. Hurricane Irma causes devastation as it rips through the Caribbean islands on a path to Florida, where it's expected to strike this weekend. Facebook reportedly gives investigators data on U.S. election ads that could have been bought by Russia, after it finds signs of an operation that spent $100,000 on political messages. Britain's largest companies urged by the government to back its Brexit strategy, but several corporates are reportedly reluctant to throw their weight behind the proposals. 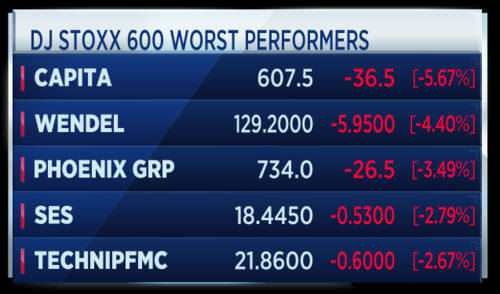 Some Asian markets bucked a losing streak to follow Wall Street's stronger lead following a debt limit deal in the U.S. The Nikkei in Japan was the most obvious beneficiary. 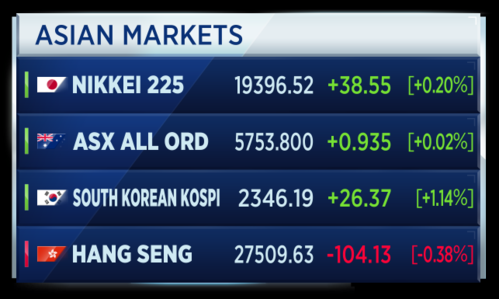 The South Korean Kospi also higher but that also boosted by some easing of tension with its northern neighbor. Print taken at 08:30 a.m. London time. 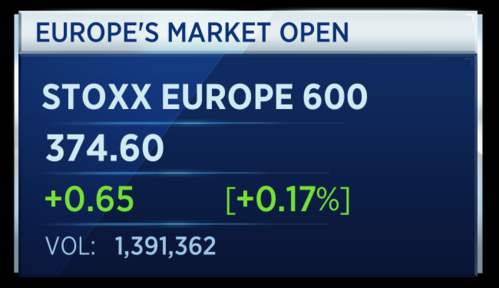 In Europe, markets are now open and also following the U.S. lead where stocks saw some lift Wednesday. Among the major trading bourses, only the Swiss market is currently showing a bias to selling. Print taken at 08:34 a.m. London time. President Trump has struck a deal to extend the US debt limit by 3 months, in a move which caught fellow Republicans by surprise. They had strongly preferred a longer-term agreement, and were harshly critical of the Democratic plan. But after Trump sided with Democrats, Senate Republican Leader Mitch McConnell said he would bring the short-term deal up for a vote. 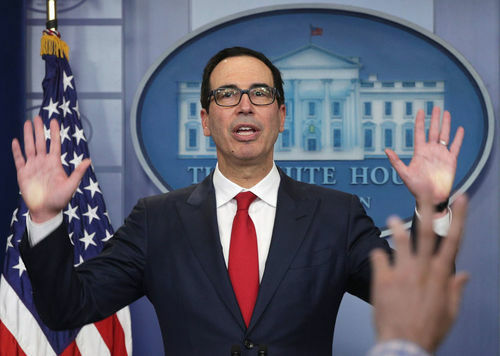 Treasury Secretary Steve Mnuchin said the Democratic-backed proposal, which Trump approved, would keep the president's options open to potentially raising military funding later this year. 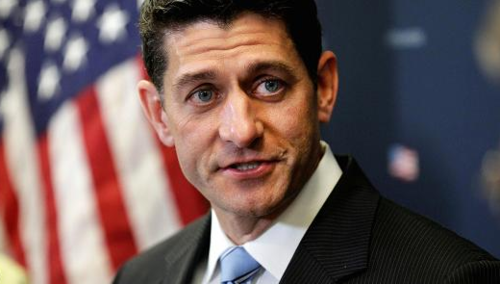 House Speaker Paul Ryan had earlier labeled the proposal "ridiculous and disgraceful." The deal delays a September 30 deadline to pass a budget, in a temporary move to avoid a government shutdown. 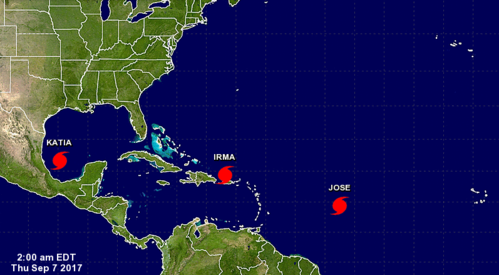 Hurricane Irma is barreling through the Caribbean on a path to strike Florida next. Islands are reporting storm-related deaths as the Category 5 hurricane batters the region with wind and water. Puerto Rico has already been hit hard with a report of one dead woman. • The one death being reported was not caused by the effects of the hurricane. The woman suffered from a heart condition – when she was being helped, she died of a heart attack. • They have not received reports of injuries. • Irma didn’t bring much rain. They’re hearing of localized flooding but nothing major, yet. 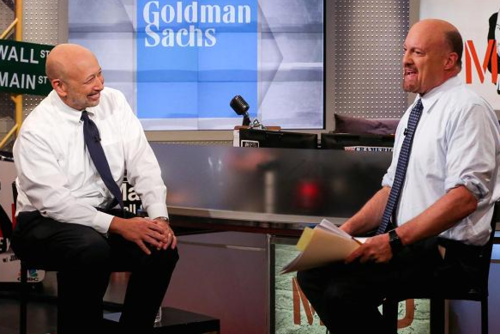 Goldman Sachs CEO Lloyd Blankfein says he is worried by some aspects of the market. Speaking at the Handelsblatt banking summit, Blankfein added "when yields on corporate bonds are lower than dividends on stocks, that unnerves me." He explained that it didn't feel like tulip mania, but there was a general feeling that 'things have been going up for too long." 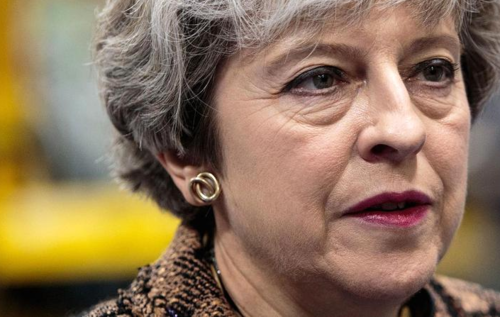 Downing Street has reportedly sent letters to executives of FTSE 100 companies, urging them to back the government's Brexit strategy. The letter, which has been seen by Sky News, praises ministers' commitment for attempting to secure a transition period after leaving the EU. The report adds that the letter was met with anger by some bosses, who are refusing to endorse it. Facebook has turned over information about U.S. election ads to investigators probing Russian meddling in American politics. The company revealed it found that an operation likely based in Russia spent $100,000 dollars on political ads with what it called "divisive social and political messages". Facebook says thousands of ads and hundreds of fake accounts were active around the U.S. presidential campaign. 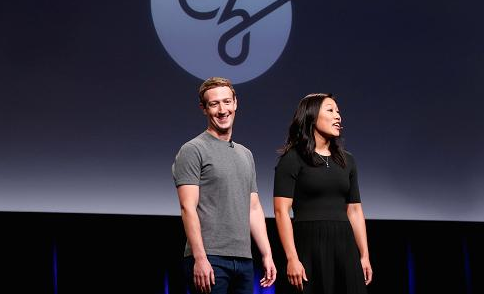 Priscilla Chan (R) and her husband Mark Zuckerberg announce the Chan Zuckerberg Initiative in September 2016. 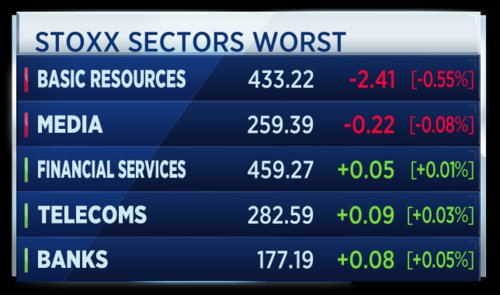 The market was too nervous about the debt ceiling not being raised. It has happened 90 times in history. Lacalle says he thinks there will now be a longer term agreement on debt as Trump has now put forward the impression that he is not the one blocking any deals. Has Trump played the debt ceiling deal smart or stupid? 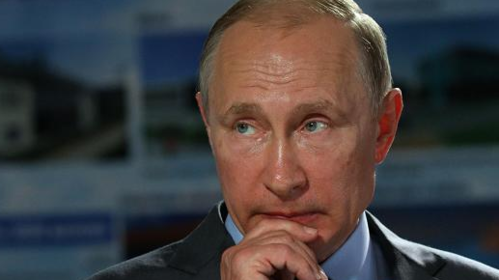 Russian president Vladimir Putin has employed some colorful language to highlight the ongoing tension in North Korea. Speaking in Vladivostok, the strongman leader said that the next step after North Korea sanctions would be "invitation to cemetery". He added that he hoped common sense would prevail in the U.S. approach. South Korea has deployed more THAAD anti-missile systems in a bid to protect itself against growing threats from its northern neighbor. Additionally, China's air force has carried out exercises near the Korean Peninsula, practicing to defend against what it's calling a "surprise attack" coming over the sea. That as international pressure rises on President Xi to do more about the North Korean problem. The stronger euro is seen as undermining the ECB's target of 2 percent inflation. 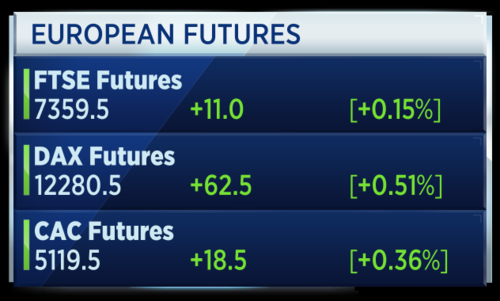 Martin Lueck, Chief Investment Strategist at Blackrock says the euro's upward path will likely be mentioned by Draghi today as it is "too much of an elephant in the room". Lueck says exiting the QE program will likely not be announced until October. On today's meeting Lueck says euro zone growth forecasts may rise but the inflation prediction is likely to remain the same. 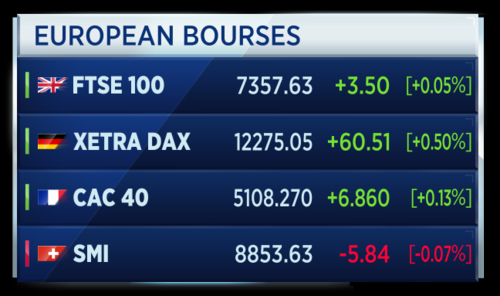 European markets look set to open positively in a few minutes time. 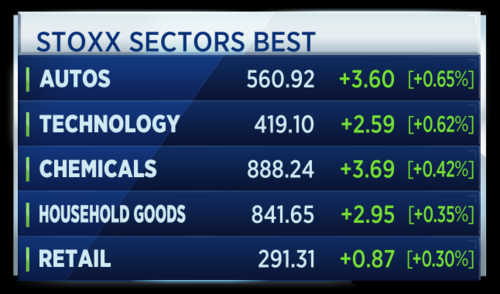 And markets have rebounded a touch, following the lead of U.S. indices that closed higher last night. 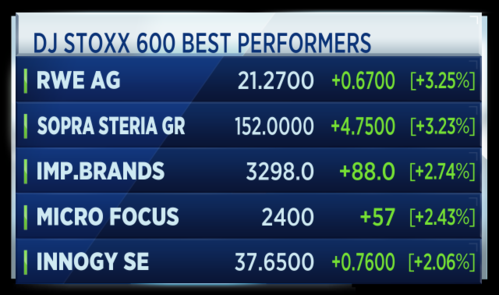 These are the biggest movers and shakers on the European Stoxx 600. Imperial Brands doing well after announcing it has has sold 13.3 million shares of Logista for £230 million. It will continue to own nearly 80 million shares in the company following the sale. 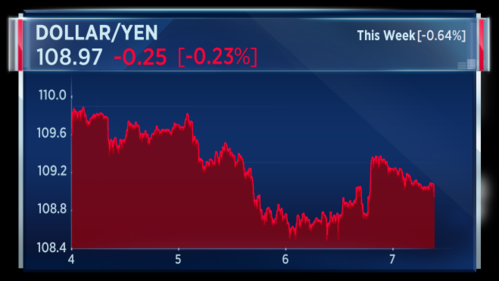 In recent trades, the dollar has weakened against the yen to now sit below the 109 handle. 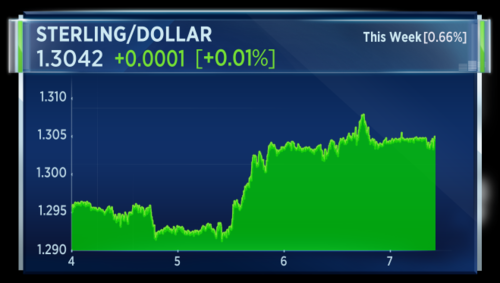 Last night the dollar strengthened in the wake of a short-term debt ceiling deal achieved by President Trump with help from Democrats. The UK's Financial Conduct Authority has announced its investigation into Scottish Widows, Prudential, Countrywide Assured Old Mutual, and Abbey Life, is ongoing. The financial watchdog first opened investigations into the financial firms in March 2016 over the companies' treatment of long-standing customers. Scottish Widows is a subsidiary of Lloyds Banking Group. Meanwhile The Chair of the UK's Treasury Select Committee has written to the UK's financial watchdog, the FCA, calling on it to release the agency's report into misconduct at RBS. The full report, already leaked and seen by the BBC, alleged several companies experienced "inappropriate action" by the British lender's Global Restructuring Unit. President Trump makes a surprise deal with Democrats to raise the debt ceiling, sparking a relief rally in the U.S., Asia and Europe. Investors wait for any tapering signals from the ECB, but the central bank's president is expected to hold off on announcing a major policy shift. Rebuild and repair for Bovis. Investors buy into the homebuilder's plans to finally move past its faulty homes scandal, as it reports half year pretax profits of nearly 43 million pounds. Is budget long haul for you? Norwegian Air Shuttle is a European budget carrier that also flies long haul. It flies to east coast and west coast destinations in the United States. Norwegian Air Shuttle is the largest airline in Scandinavia,and the ninth-largest airline in Europe in terms of passenger numbers. Norwegian launched its long-haul operation in May 2013. On concerns about high debt, Tore Ostby, CFO of Norwegian Air Shuttle says the firm cut its debt this year and has flexibility to sell aircraft should the airliner chooses to reduce its footprint. There has been a high number of complaints from Norwegian passengers about delays and cancellations this summer. Norwegian Air’s tough summer has so far left it with nearly 6,000 delayed flights and 170 cancellations in July alone. That according to statistics from Flightstats. 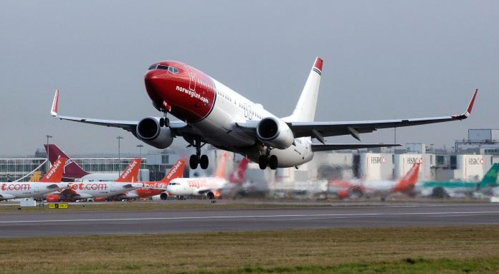 A Boeing Co. 737 passenger aircraft, operated by Norwegian Air Shuttle ASA, takes off at London Gatwick Airport in Crawley, U.K. The U.K. mortgage lender Halifax has released a fresh data set suggesting that British property rose at its fastest pace this year. House prices reportedly rose 1.1 percent in August from July. On an annual basis, house price growth rose 2.6 percent. 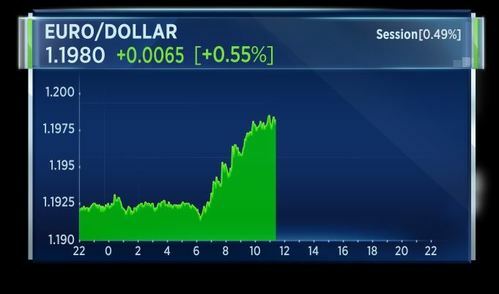 Analysts are viewing it as a big beat but sterling appears to have shrugged it off. 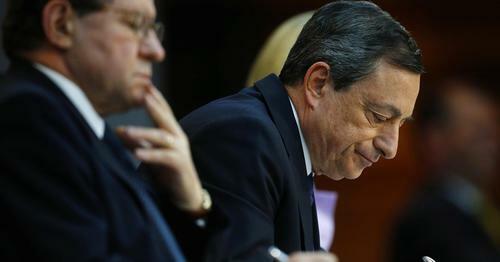 The ECB will make its latest policy decision today as investors await to hear the thoughts of President Mario Draghi. There has been debate around whether Draghi is caught in a euro trap. Despite the recent rise in the euro, particularly against the greenback, inflation expectations are still on an upward trajectory. On a trade-weighted basis, most analysts say the euro looks much more moderately valued and should not derail the ECB's taper train. So what does the market expect? A Reuters poll of over 60 investment banks shows that 70 percent believe it will be October before Draghi announces any adjustment to the central bank's asset purchase plan. Nearly a quarter believe it may be at today's meeting. As for the end of the QE, most of the respondents believe it will be in the third quarter of next year. 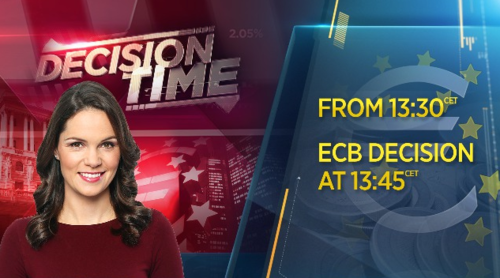 We will bring you the latest from the ECB and expert analysis and market reaction -- that's from 13:30 CET with the decision itself at 13:45 CET. North Korea is a dark cloud overhanging stocks currently, but there are plenty of other reasons to be cautious right now, and not just lofty valuations. Hurricanes, ongoing concerns about Donald Trump’s policy failures, and deep discussion about QE tapering both in the US and Europe have temporarily pushed fears about Brexit to one side. For the past month, the FTSE 100 has traded largely within a 150-point range between 7,300 and 7,450. That’s not unusual in itself, markets rarely move up in a straight line for very long, but strong buying support through August at 7,300 makes it the significant level right now. It may well be tested again, if not this week then next should Kim Jong-un choose to celebrate North Korea’s founding anniversary at the weekend with another missile test. A surprise decision by Trump to increase the debt limit and avoid default kicks a possible government shutdown three months down the road, but attention Thursday turns east to Europe. 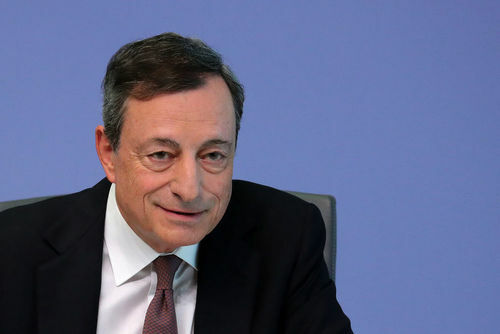 ECB president Mario Draghi will give his most keenly awaited speech for a while this lunchtime as traders bet whether he’ll finally confirm plans to cool the central bank’s stimulus programme. With the eurozone economy growing consistently and inflation higher, there’s certainly a strong argument to reduce monthly bond-buying from the current €60 billion. However, with the euro still firmly above $1.19, there’s a strong feeling that Draghi will delay any decision until October at the earliest. British Brexit Minister David Davis says thinks very good prospect of negotiating bespoke transitional arrangements with the EU. Junior Brexit Minister Baker says government will not accept any amendment that comprises the EU withdrawal bill. That's according to Reuters. The European Union should add more sanctions on North Korea as part of international pressure following Pyongyang's largest nuclear test to date, the bloc's foreign policy chief Federica Mogherini said on Thursday. That's according to Reuters. While sanctions have so far done little to stop North Korea boosting its nuclear and missile capacity, Federica Mogherini said more such steps were required along with piling on political pressure. I would propose to ministers today to strengthen the economic pressure on North Korea, supporting a new U.N. Security Council resolution adopting tougher economic measures, starting new autonomous EU sanctions...and working with other partners in the world to make sure that everybody implements fully and strictly the already-decided economic measures, Mogherini told reporters before meeting the EU defence and foreign ministers in the Estonian capital. Greek June Unemployment at +21.2 percent from revised +21.5 percent in May. Deutsche Boerse's CEO says can't speculate about the future of his job. That's according to Reuters. 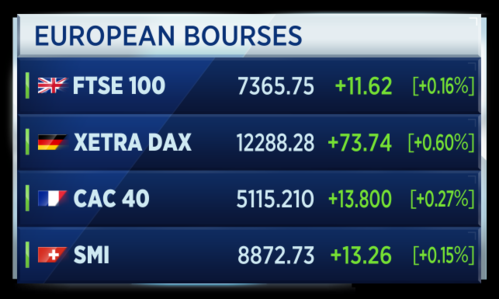 German Blue-Chip index hits 6-week high, now up 1 percent supported by auto stocks. That's according to Reuters. 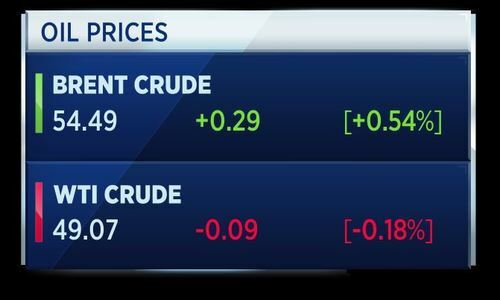 Brent oil prices firmed on Thursday, hovering near 3-1/2-month highs as U.S. refiners restarting after Tropical Storm Harvey increased their crude processing and the U.S. dollar declined. 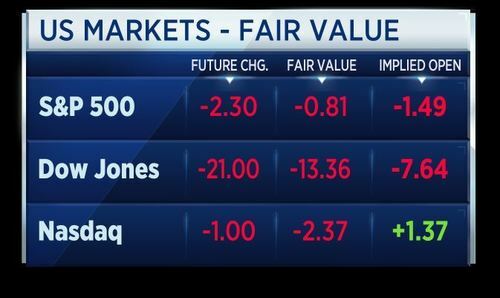 U.S. stock index futures pointed to a lower open on Thursday, as investors geared up for speeches from leading Federal Reserve members, as well as awaiting news from the European Central Bank’s latest Governing Council meeting. Today’s European Central Bank (ECB) council meeting will alter monetary policy only through verbal signals. Yes, the macroeconomic projections will be updated with the inflation forecast most likely revised down as the stronger euro dampens import prices. But the decision how to proceed with the asset purchasing programme in 2018 will be most likely postponed to the next meeting in October. The robust economic backdrop allows for scaling down the volume of asset purchases, and the technical limits call for some reduction of the volume as well. However, the ECB will try to avoid a heavy financial market reaction as currently low interest rates and yields are still an essential support for the eurozone economic recovery. Low inflation rates make it possible to stick to this ultra-dovish policy. We do not expect that the ECB will talk the euro lower, which is currently trading above the level justified by interest rate differentials. We forecast EUR/USD to decline to 1.14 in the next three months. At today’s meeting, the ECB should revise down both growth and inflation numbers in its staff projections for 2018 (probably also 2019) due to the substantial appreciation of the euro. On the inflation side, up to 0.2 percentage points would be theoretically conceivable for both years. In fact, the change is likely to be more restrained. If the ECB stresses that the euro trend represents a downside risk to the future path of inflation and that it will vigorously counter a tightening of financing terms, such an emphasis, in connection with an unchanged easing bias in the QE forward guidance, is likely to represent a very dovish signal for the markets. Depending on the sharpness of the wording, even the virtually automatic timetable up to the announcement of the trimming plan could be questioned – in other words the expectation that this will happen in October. As Bloomberg has already reported from insiders that the council will play through a large number of QE reduction scenarios, there is little scope for bearish disappointment today, especially as news from the US debt ceiling agreement and duration-intensive supply will already weigh on the market ahead of the meeting. A dovish tone from the ECB should therefore quickly put a stop to any immediate downside impulse. 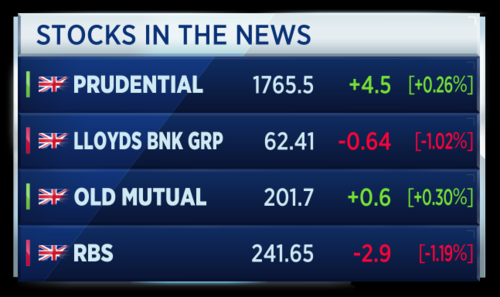 CNBCThe European Central Bank (ECB) is likely to hold off on making any announcements on its stimulus program when it meets this week. Policy makers have signalled that it is too early to expect any details about the complex issue of the future of QE at this week’s meeting on 7 September. The direction, however, is important. Investors have been voting on the strength of the economic recovery with their portfolios, betting on an appreciating euro. With markets anticipating a QE exit on signs of improving economic conditions, risks of “possible overshooting” in foreign exchange markets create pressure on President Draghi to provide guidance. Communication is everything: Although a policy change this week is unlikely, the markets will adjust as soon as the ECB’s language changes. This also means that the euro will get more of a verbal than policy reaction. A forecast summary follows ahead of the discussion next. Spanish chief state prosecutor says preparing to present criminal charges against members of Catalan Parliament for referendum law. That's according to Reuters. British Brexit Minister Davis says EU withdrawal bill is vital to ensuring Britain can leave EU in orderly manner. That's according to Reuters. The ECB will make its latest policy decision in just under 15 minutes time as Mario Draghi tries to solve the puzzle of a smooth QE exit. The recent strength in the euro has some analysts concerned about a delay to the expected tapering, with the currency taking another leg up against the Dollar today, hovering at a 2 and a half year high. There has been debate around whether Mario Draghi is caught in a euro trap. Despite the recent rise in the euro, particularly against the greenback, inflation expectations are still on an upward trajectory. So what does the market expect? A Reuters poll of over 60 investment banks shows that 70 percent believe it will be October before Draghi announces any adjustment to the central bank's asset purchase plan. Nearly a quarter believe it may be at today's meeting. As for the end of QE, most of the respondents believe it will be in the third quarter of next year. U.K. Brexit minister David Davies says it does not make sense to retain the EU charter for fundamental rights after Brexit. Speaking on the Fox business network, U.S. Treasury Secretary Steve Mnuchin says it is still "very viable" to get tax reform done this year. 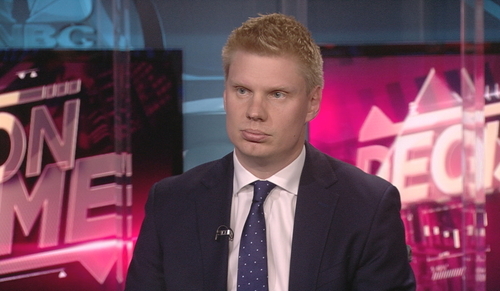 Iain Stealey, senior FI manager at J.P. Morgan Asset Management, says the strengthening euro indicates the strength of the European economy and geopolitical uncertainty is keeping government bond yields low. 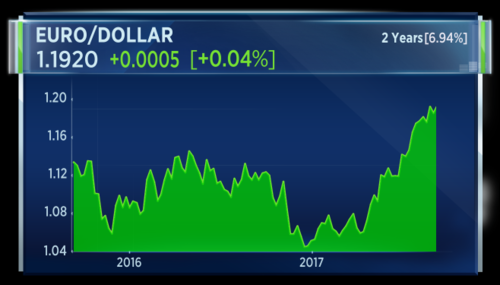 People are looking at the euro maybe as sort of a safe-haven currency, a strong economy, and looking to put assets to work there. The European Central Bank has announced its latest monetary policy decision. The ECB has decided to keep its interest rates unchanged. The Governing Council decided at its July meeting to maintain the interest rate on the main refinancing operations, the interest rates on the marginal lending facility, and the deposit facility at 0.00 percent, 0.25 percent and -0.40 percent respectively. 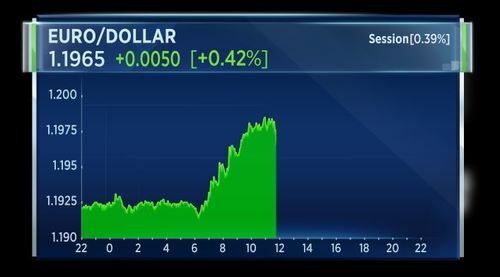 The euro has marginally pared back gains against the dollar after the latest ECB decision.